Once an active volcano around 60 million years ago, the Gunung Api Purba Nglanggeran is one of the oldest volcanoes in the Central Java region. Its unusual shape may be due to the fact that it was once an undersea rock which emerged above the surface from a volcanic eruption. 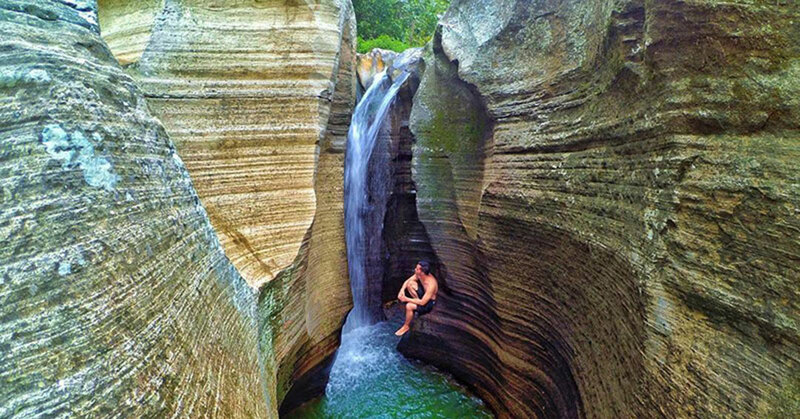 Standing 700 metres above the Gunungkidul countryside, this two-peaked mountain surprisingly only requires about 60 to 90 minutes of trekking past exotic rock formations, native inhabitants and narrow stone walls. Upon reaching either the West or the East peaks, you may come across a few residents along the way. This is because according to local beliefs, there should be exactly seven families living on the mountain – if there’s any more or any less, a catastrophe is bound to happen. 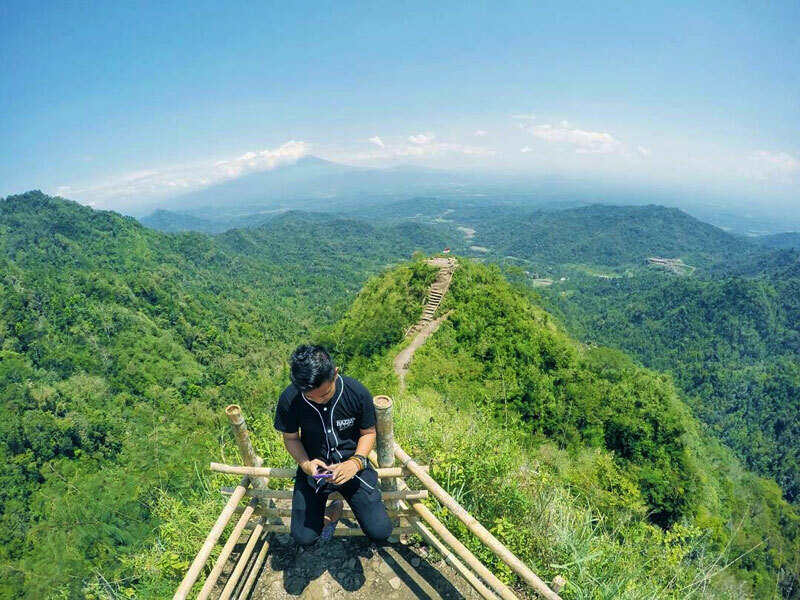 As you stand on the summit, the phenomenal view of the karst mountain range and lush greenery can take you back to the Java that stood several hundred years ago. 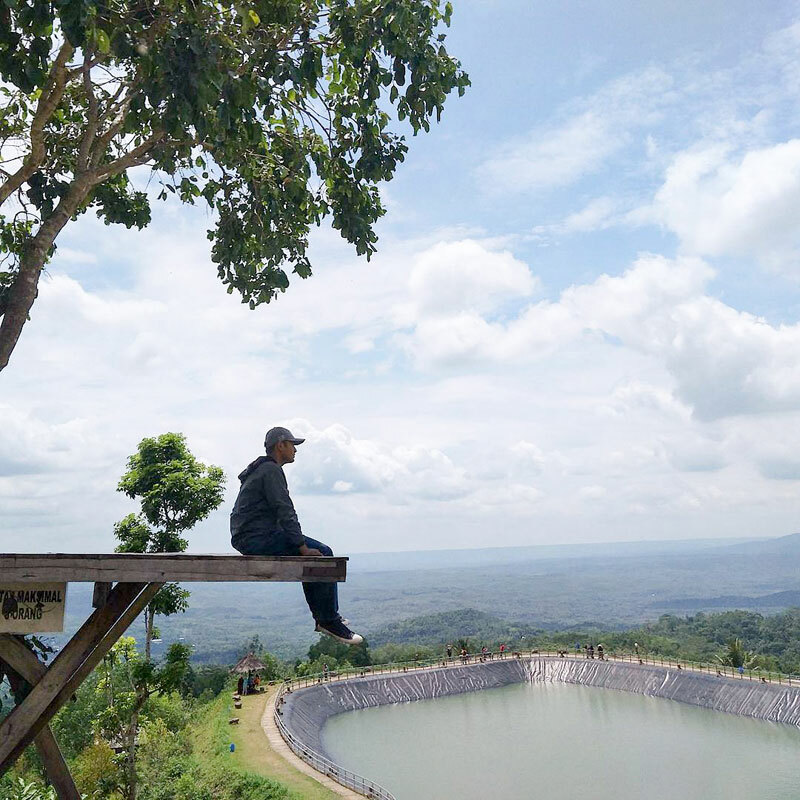 Don’t miss the Embug Ngalanggeran, a water reservoir that is both beautiful and functional, providing water to the surrounding villages and farms. 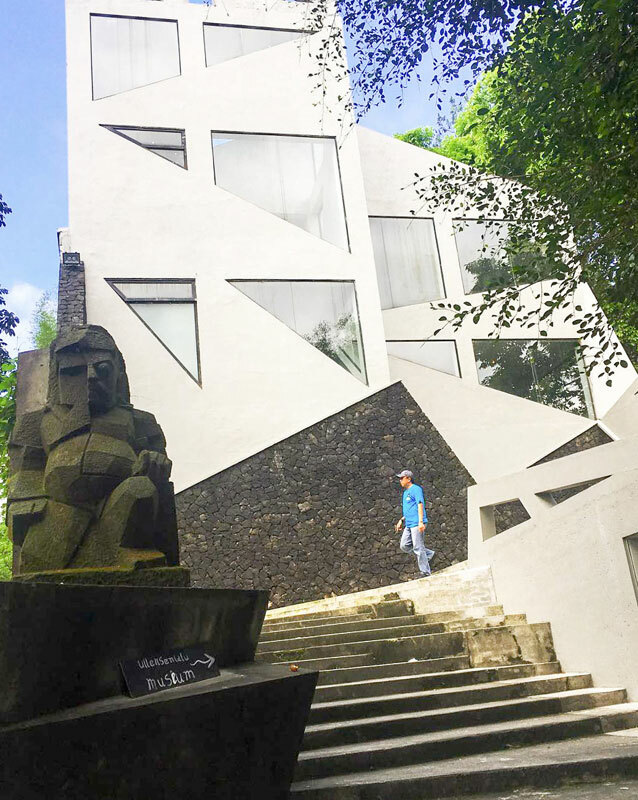 Even if museums aren’t really your thing, the Ullen Sentalu Museum, crowned as Indonesia’s best museum by National Geographic, is a must-visit. The Ullen Sentalu museum exhibits a privately owned collection that illustrates history from the era of the Mataram Kingdom, one of Indonesia’s most powerful kingdoms from the 8th Century that built the Borobudur and most of the temples in Yogyakarta. 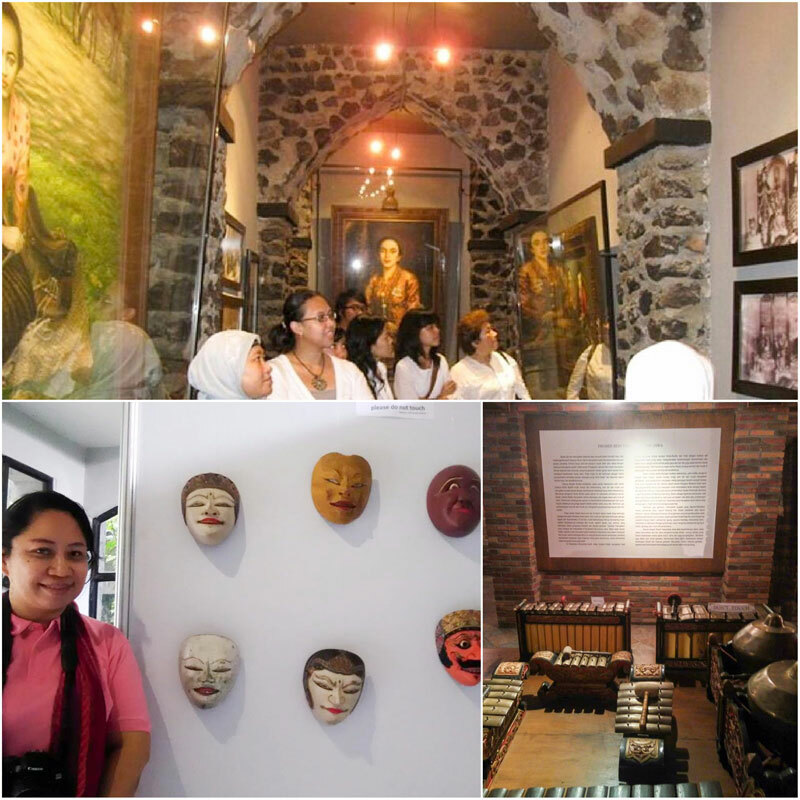 Upon entering, you will be brought around by a complementary tour guide through a maze of narrow alleys connecting rooms displaying artefacts, such as furniture, pictures, artworks and a brief history of batik. One notable room to look out for is the Guwa Sela Giri, an underground tunnel that displays paintings, each with a story of its own. It is said that one painting of a woman would appear to be following you wherever you are in the room – creepy! 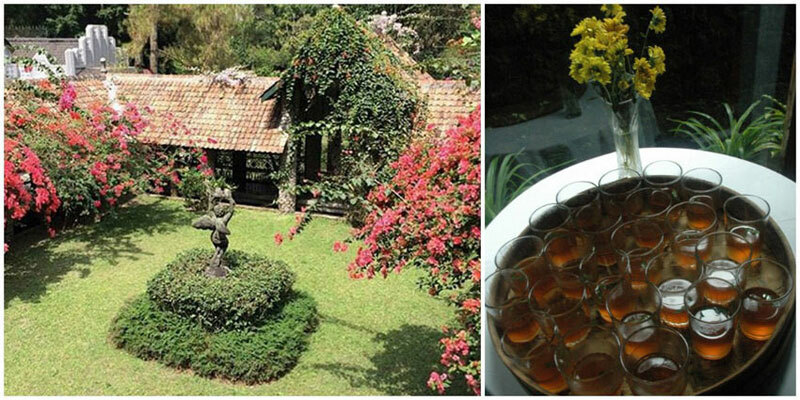 The tour ends in a lavish garden guarded by moss covered stone walls under the shade of old trees, where you will be served with a glass of Ratu Mas, a secret cocktail of seven natural herbs that is believed to bring health and beauty. Unlike most seaside scenery in Yogyakarta, Laut Bekah offers no sandy beaches. Instead, it boasts of limestone cliffs that extend into the vast Indian Ocean up to 70 metres in height. 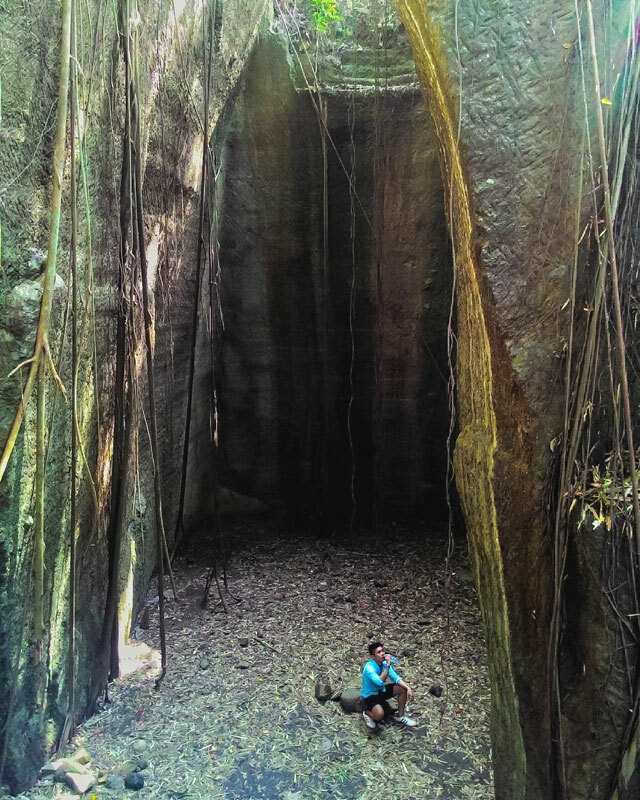 Relatively unknown, it is the perfect place for those looking for a little solitude to replenish the mind. But getting there takes a bit of effort. 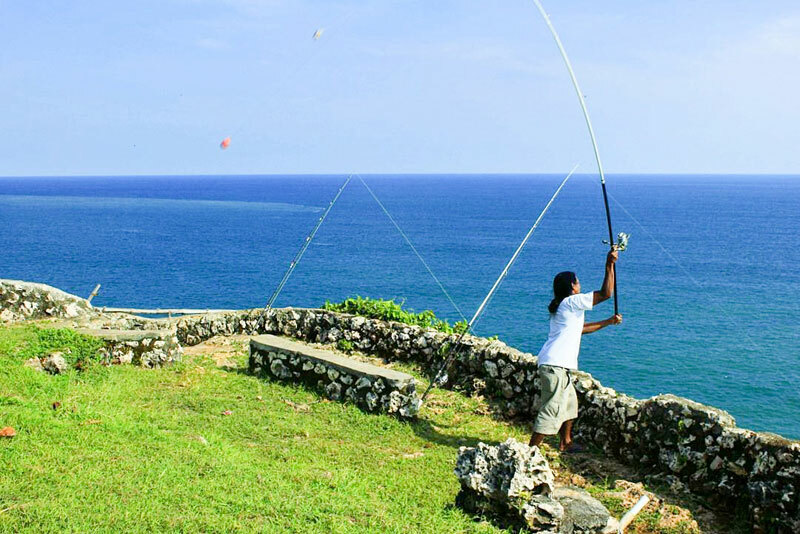 If fishing is your passion, have a go at rock fishing, a sport that is gaining popularity in Indonesia. The Tebing Bekah provides direct access to deeper waters, meaning bigger fishes, and even the occasional sight of whales! Getting There: From Yogyakarta, head towards Parangtritis Beach and travel Eastwards towards Purwosari, Gunungkidul. Turn in the direction of Padukuhan Temon at the junction before SDN Karangnongko 1. Your destination will be at the end of the road. Make sure your vehicle is in fit condition. Coordinates here. From batik shirts to miniature rickshaws, Malioboro Street is Yogyakarta’s answer to Bangkok’s night markets. An overcrowded street during the weekends is usual, as it has been serving as Yogyakarta’s centre of trade since the colonial era. A concoction of traditional gamelan music blasting on crackling loudspeakers, dubbed with the yells of hawkers, is the soundtrack for a stroll through this street market. 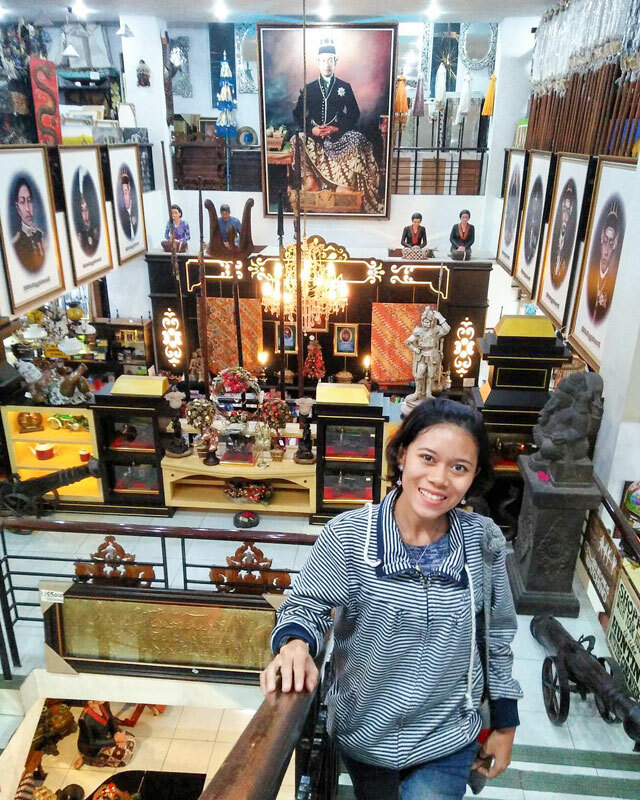 Go souvenir hunting in Malioboro’s most prominent and tacky souvenir haven, which is known as Hamzah Batik. Their vibrant and endless collection of handicrafts, jewellery and Batik will surely bring out your inner shopaholic. As the birthplace of the term nongkrong (roughly translates to ‘hanging out’, specifically on a street side), many places for nongkrong are scattered nearby here. Try out bite-sized rice meals which are referred to as Nasi Kucing (Cat Rice), or have a sip of the local novelty, Kopi Jos – coffee with a scorching red chunk of charcoal dipped in it! 35. Did the Mayans visit Watu Giring? 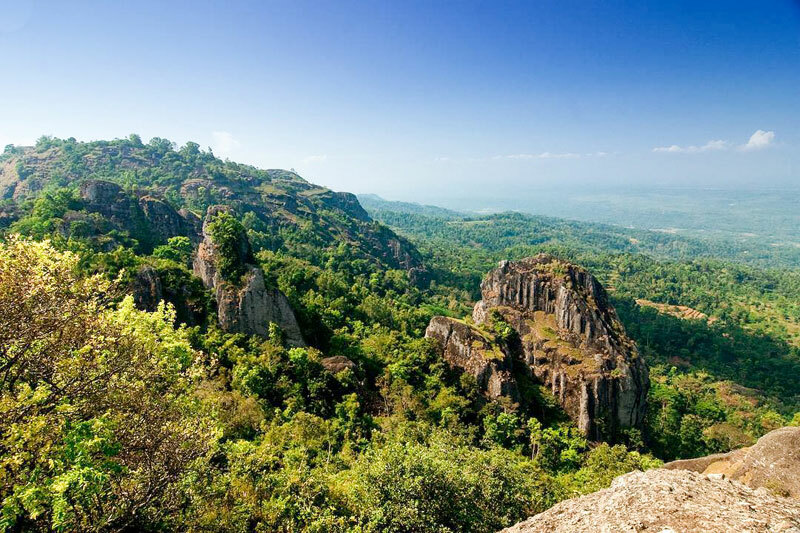 This enchanting place is decorated with high limestone rocks, caves and amazing views. 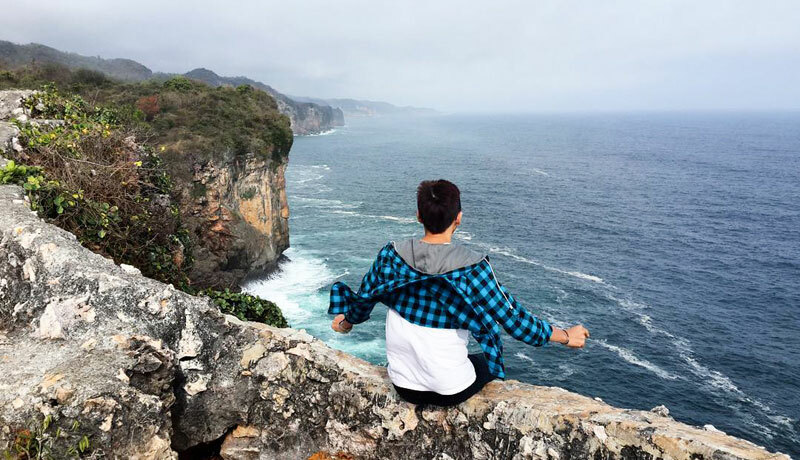 The varying heights of the limestone rocks allow you to climb up to the top and gaze at the magnificent view. 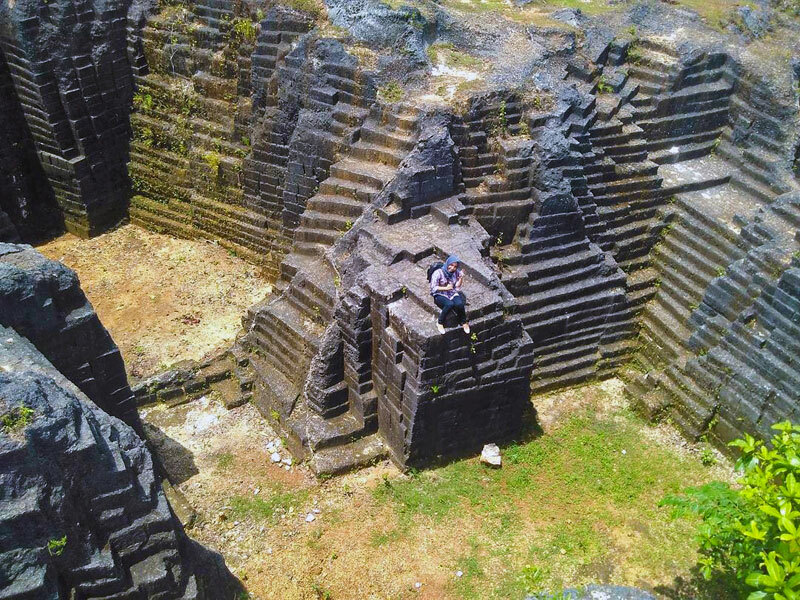 Watu Giring is actually a former mining site, but the stone structures resemble ancient ruins or even Mayan temples. 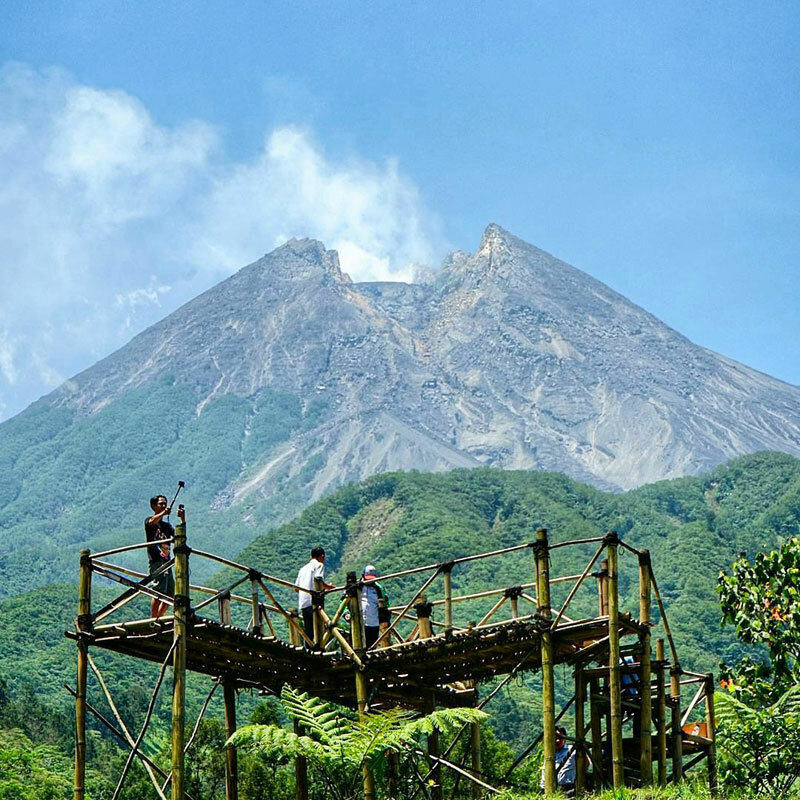 On sunny days, when the sky is clear blue, you can see Mount Merapi rise up in the distance – a stunning backdrop to an epic photo-worthy moment. Getting there: Head towards Jalan Wonosari from Yogyakarta city. The ride is 44.6 kilometers and it takes around 1 hour and 23 minutes to drive there. 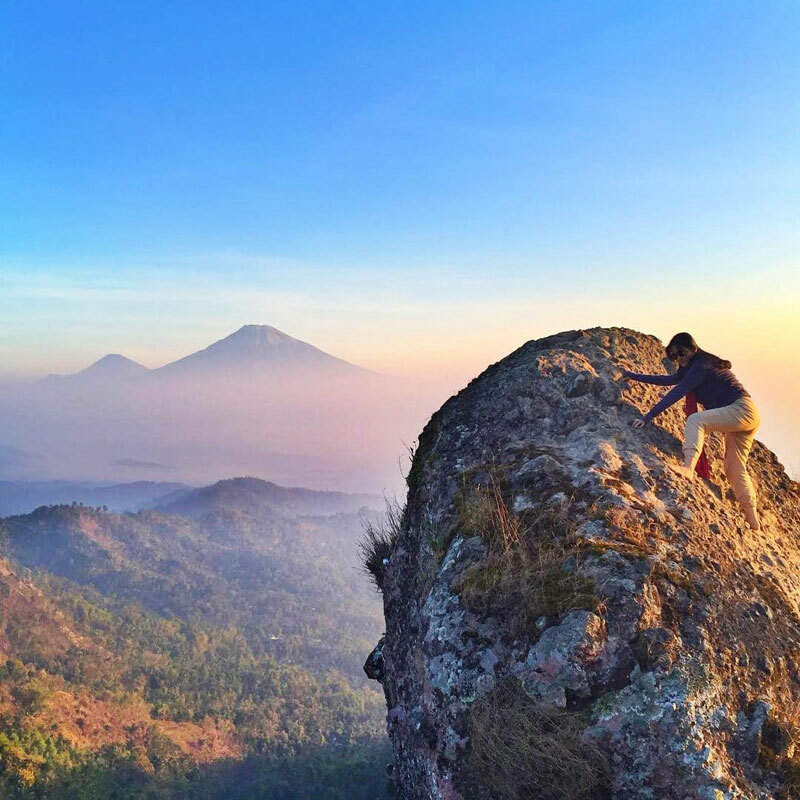 Batu Miring is the place to go for breathtaking panoramic views of Java Island. Go early to watch the enchanting sunrise colour the landscape or in the late afternoon to watch the sun set over the island. 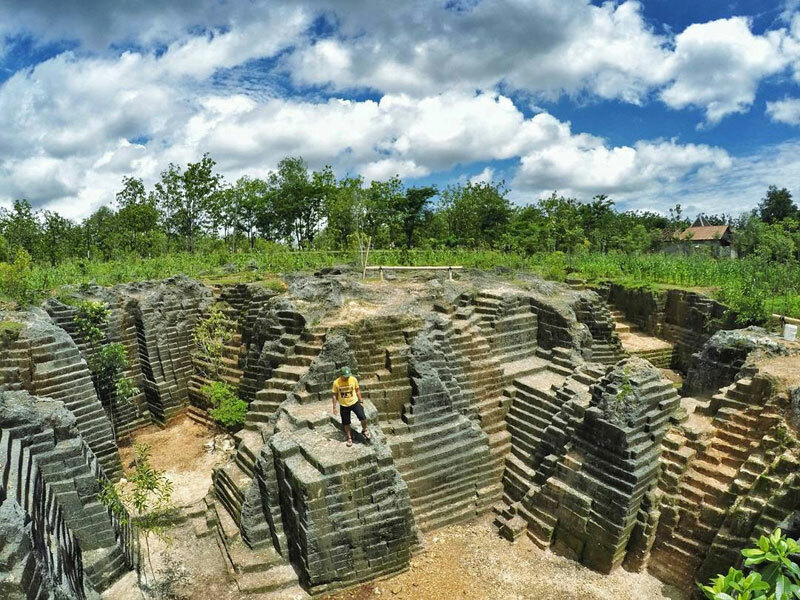 Batu Miring is surrounded by endless mountains, limestone rocks and lush greenery. There’s no public transport here, so you’ll have to take your motorbike and drive up yourself for a good old adventure. 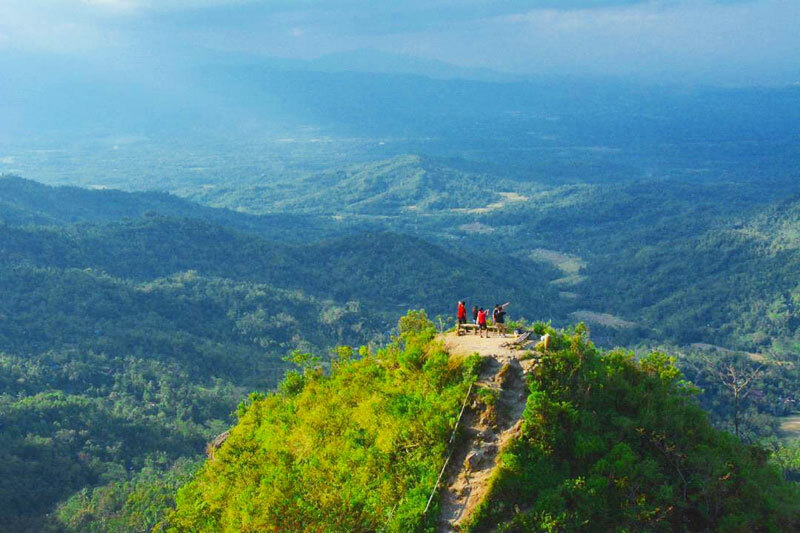 From the parking lot, a short 200-metre walk will lead you to the foot of the majestic mountain, Gunung Kukusan. There are two paths to choose from, which lead to two different peaks. The path on the left leads to Dempok Summit and the other to Kendeng Summit, the highest peak of the two. From both summits, you will be mesmerized by the magnificent mountain views and the peaceful valley below. Breathe in the fresh mountain air, listen to the birdsong and reconnect with nature! 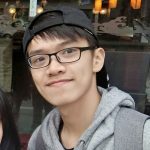 If you’re here early in the morning, be sure to wear a sweater as it’s cold! You will surely enjoy watching the landscape rise out of the morning mist. Getting there: From Yogyakarta, drive in the direction of Godean. Continue westward in the direction of Kulon Progo until you reach the intersection with Nanggulan. Then turn right towards the intersection of Dekso. Turn left and continue to follow the path towards Samigaluh to find Plono market. Drive in the direction of the Nglinggo tea gardens and continue to the foot of Mount Kukusan. 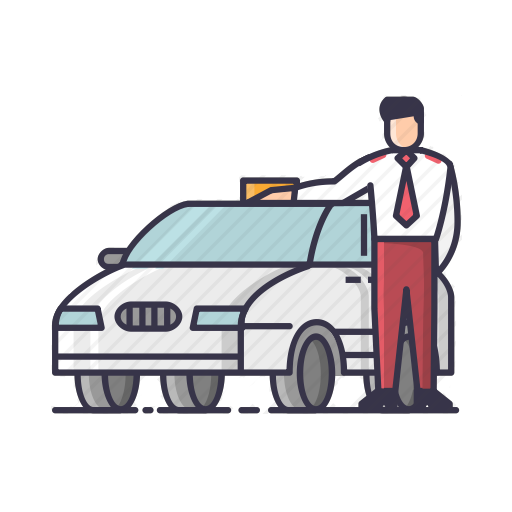 The ride is 28 kilometers and it takes around 1 hour and 20 minutes to drive there. 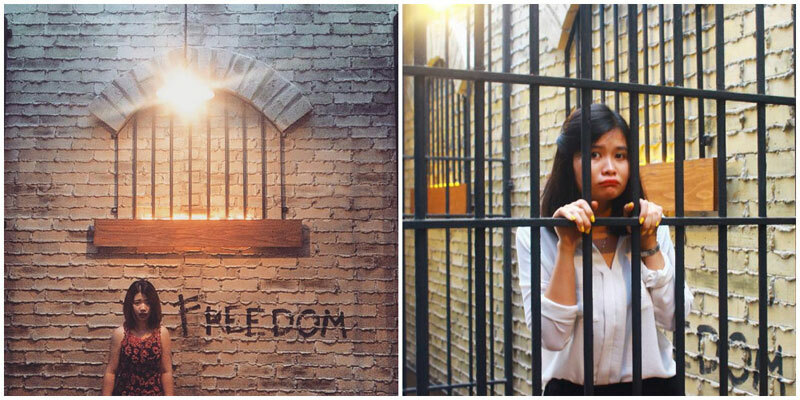 Want to know how it feels like to spend your dinner time in jail? 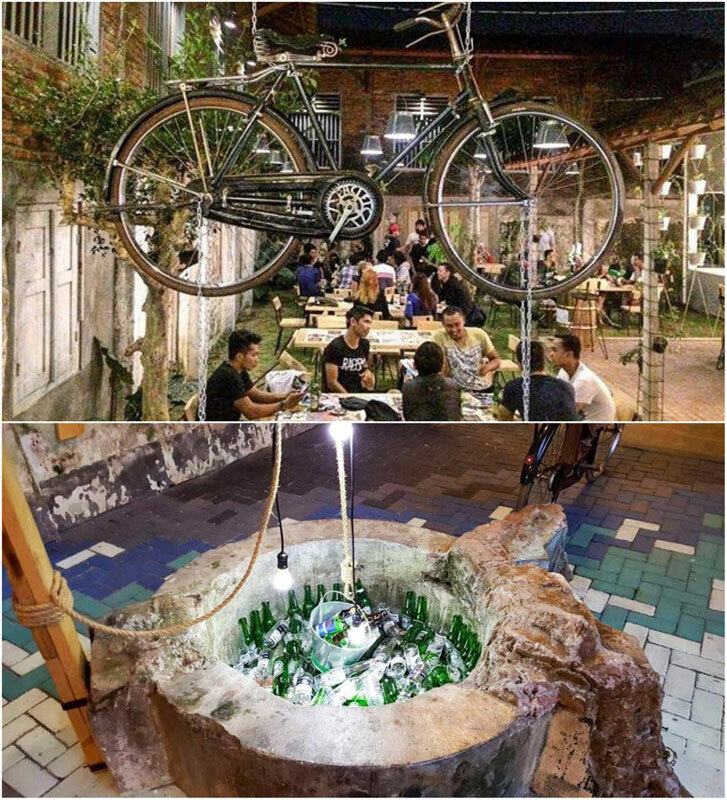 Well, we may not be able to send you into a real prison, but in Bong Kopitown, you can at least feel the unique ambience of eating as a felon while being locked up in a private block. 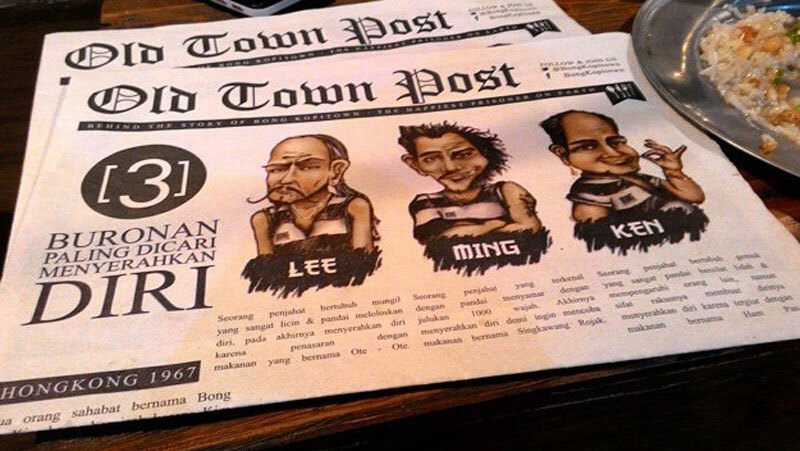 Besides their eccentric interior, Bong Kopitown also invests creativity on little details such as their menu book. 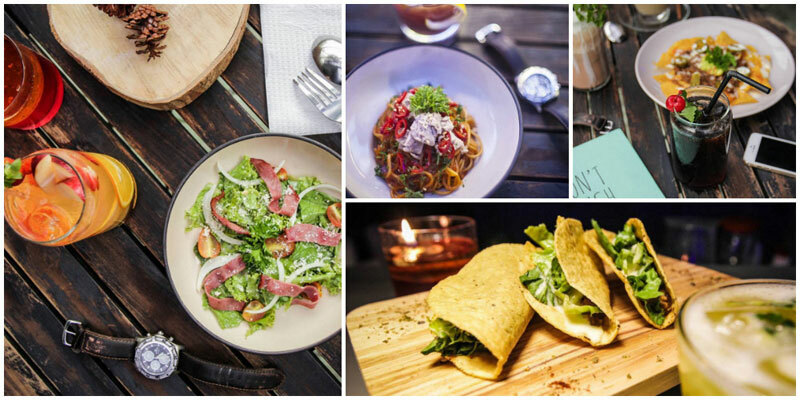 Instead of ordering through the usual book or paper, you can pick out the dish that you desire from a newspaper! 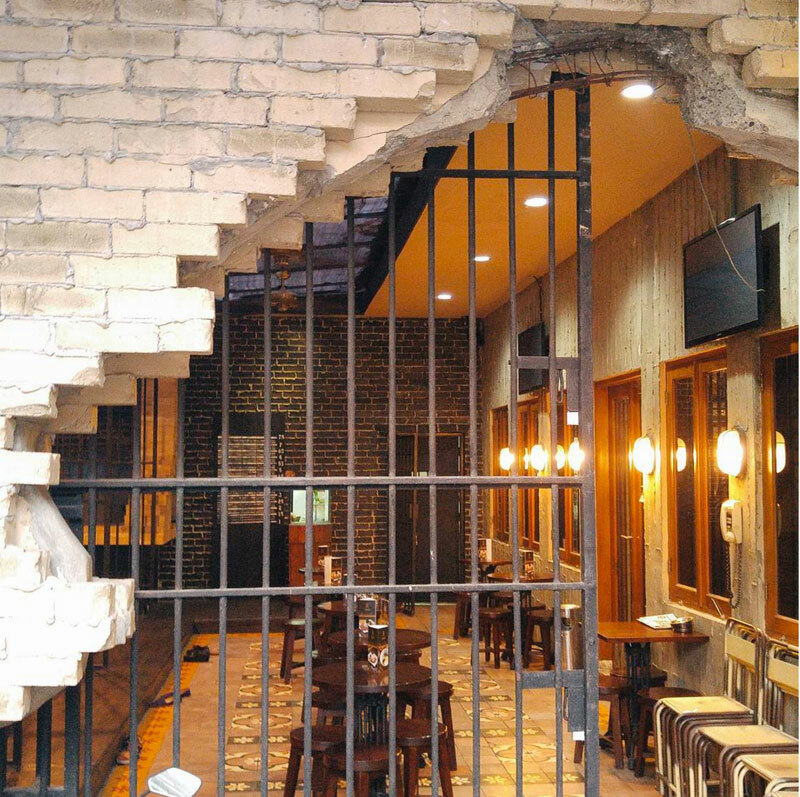 In accordance to its theme, you can also see iron bars towering up around the restaurant, thickening the jail vibes. But don’t worry, this restaurant isn’t a dirty, rusty jail like the ones you see on TV, as everything here is quite clean and smartly organised. Even some of the food here is served using actual jail cutlery to make you feel like a real criminal. 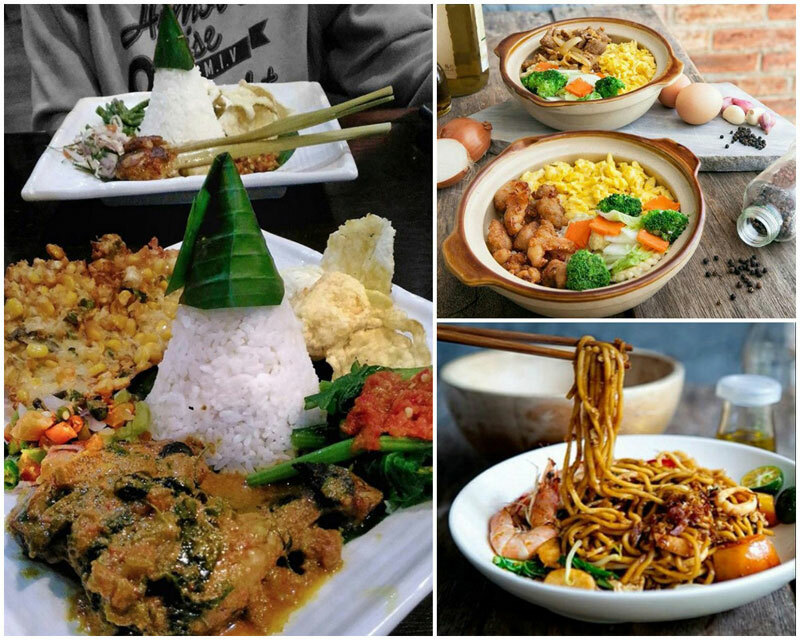 The only difference here is that you’re free to choose between a bowl of lip-smacking Singapore Laksa or scrumptious Penang Fried Noodles. Never has jail time been so good. 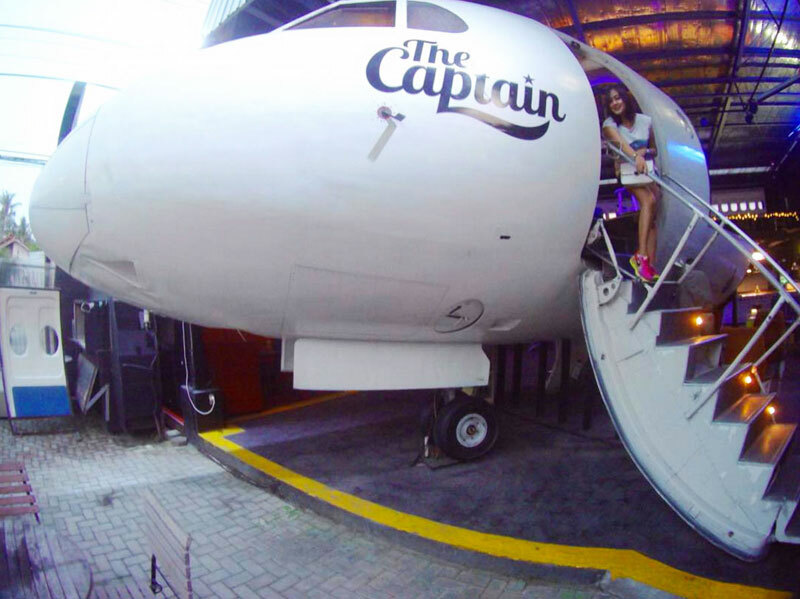 The Captain Urban Lounge has been living under the spotlight for quite a while. Want to know why? 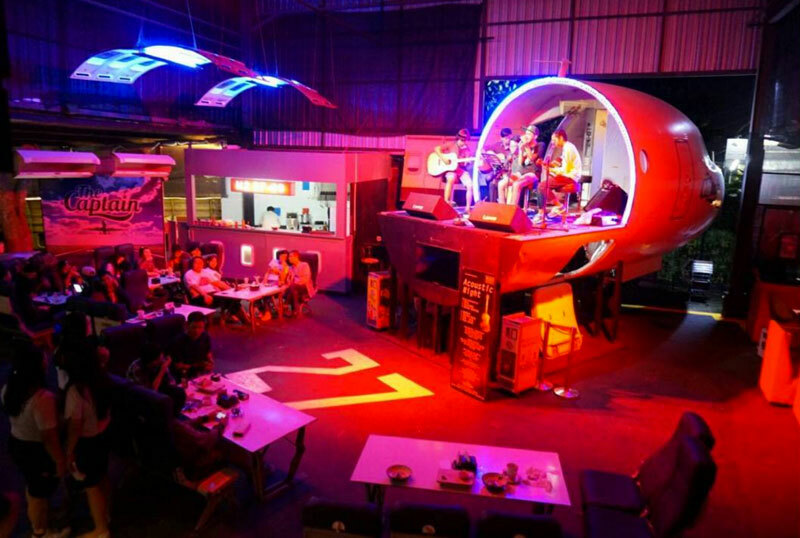 Not only is their restaurant shaped like an airplane hangar, the head of a plane can also be spotted in front of the restaurant, lending a unique atmosphere to mealtimes here. 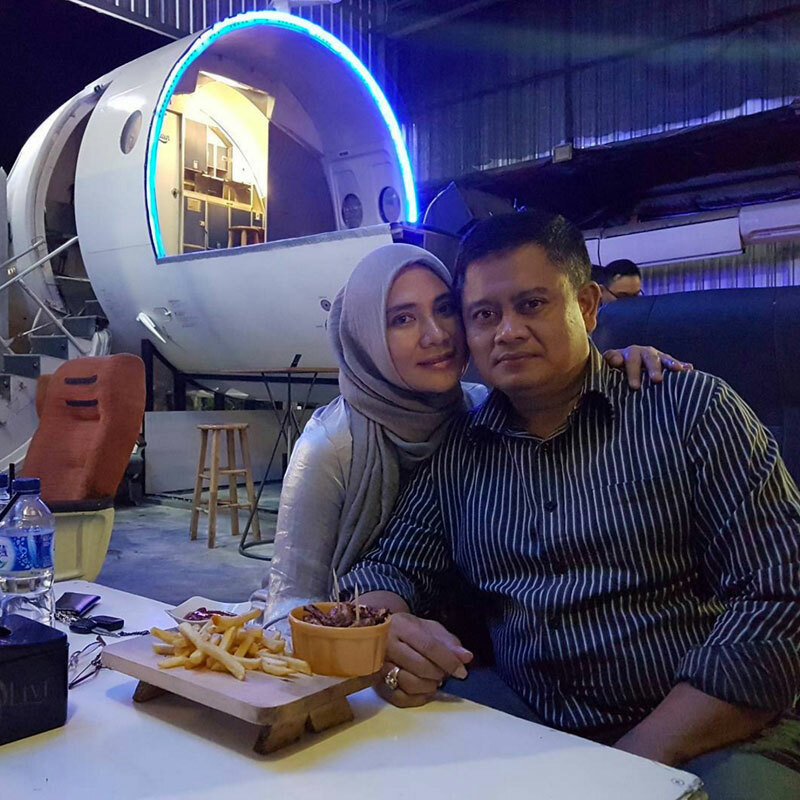 As you enter, you’ll be amazed as a part of the restaurant is built out of a Fokker 28 airplane body. 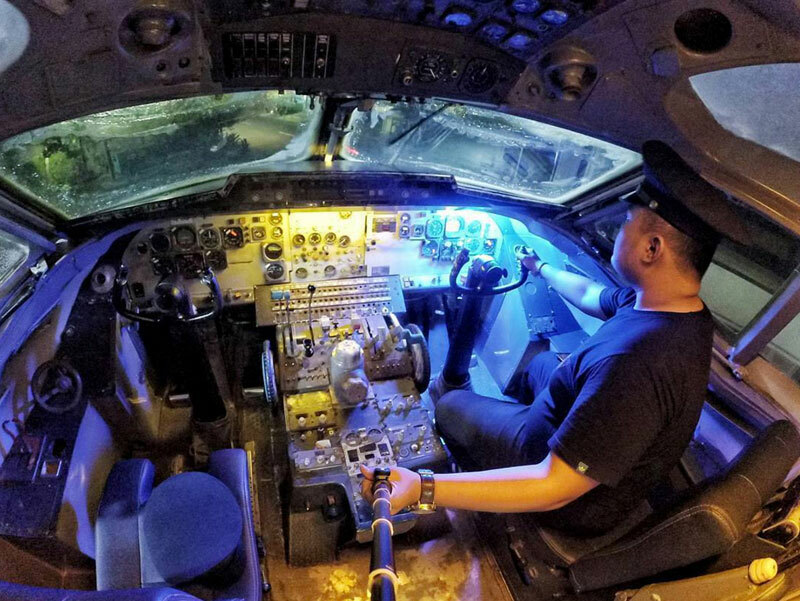 The cockpit functions as the music stage and dining area – if you’ve never rocked it out on a plane before, now’s your chance! 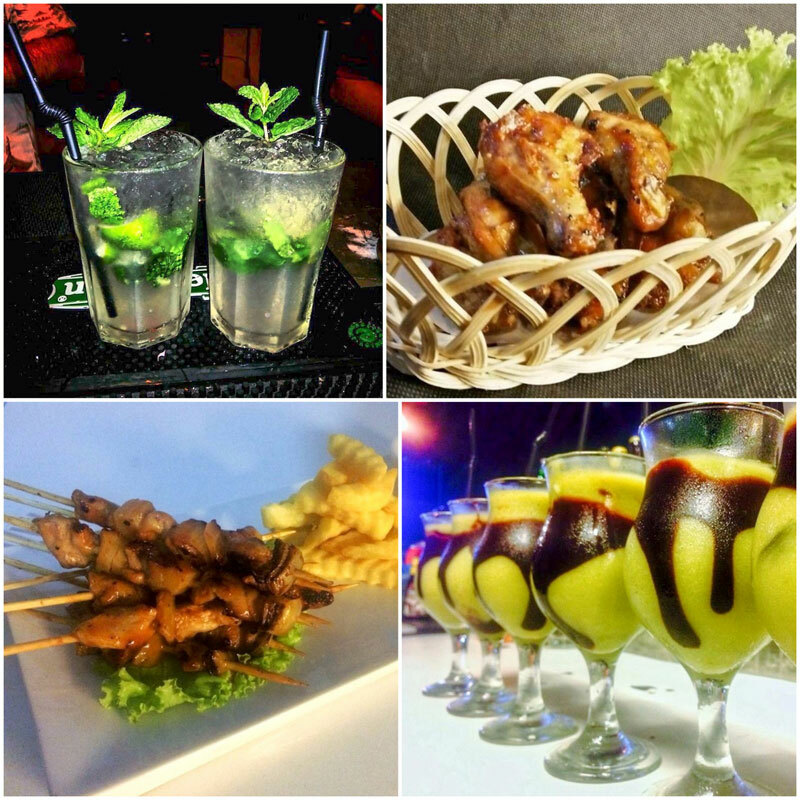 Spending your time here means that you will be entertained by melodic live music or the sick beat of a local DJ while finishing a delectable dish. It’s a first class flight experience like no other. Curious about the food here? The Captain Urban Lounge offers lots of mouthwatering snacks such as nachos and tacos. If you’re looking for a heavier meal, the pasta here can never go wrong! 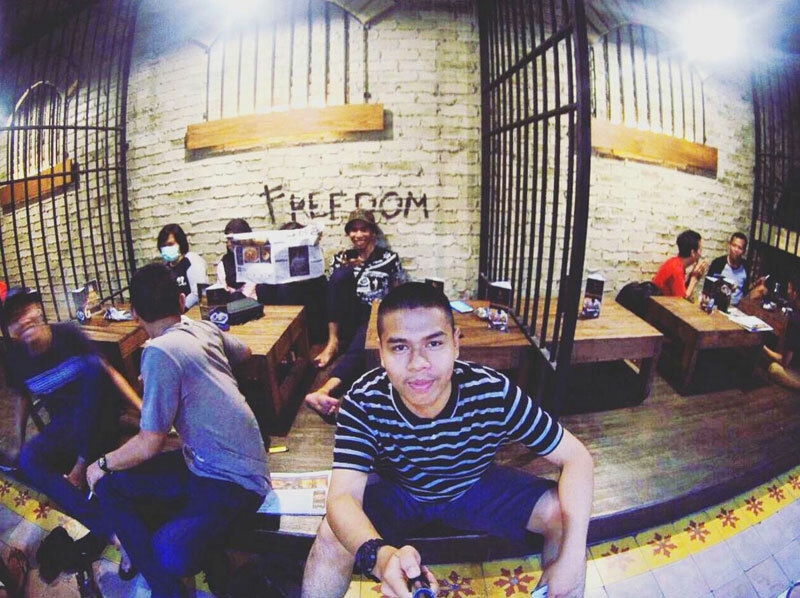 Tap House is the best watering hole in Jogja for youngsters who want to spend some quality time with their friends while having some alcohol. What’s so special about Tap House is that their theme and interior design resemble an abandoned house that has been deserted for years. The rusted wall with overgrown green moss emphasises the sense of being in the wilderness – this is the place to let go, and go wild. Chill out with your loved ones on the ever-so-comfy bean bags and drink away. The atmosphere here will make you feel unrestricted, as no one will have the time to judge you, they’ll be too distracted by the decor! If you’re a big fan of live music, you can get to meet local DJs and musicians who showcase their talents here (usually during the weekend)! Want to immerse yourself in a natural fairyland and star in your own fairytale? 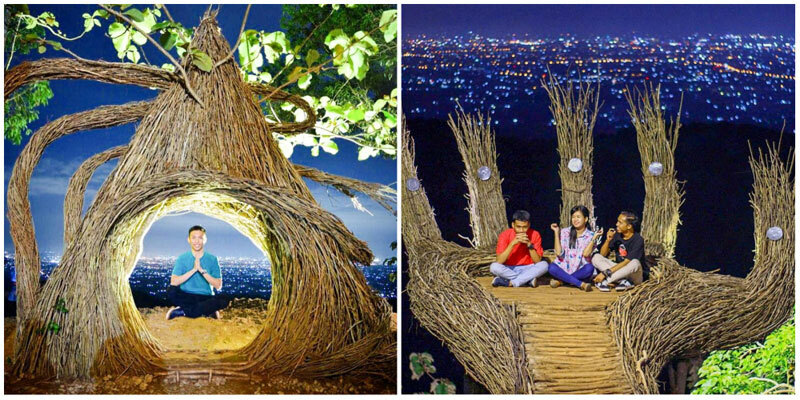 Enter Seribu Batu Songgo Langit, a magical dream come true. 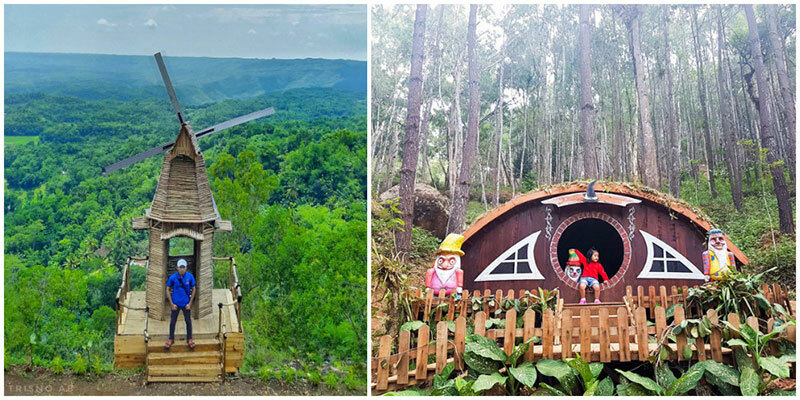 Nestled in the renowned Dlingo pine forest area, Seribu Batu Songgo Langit is a trending travel destination that packs an unusual charm compared to the other pine forests nearby. This pine forest creates a fairyland atmosphere that brings all your favourite Disney movies to life. 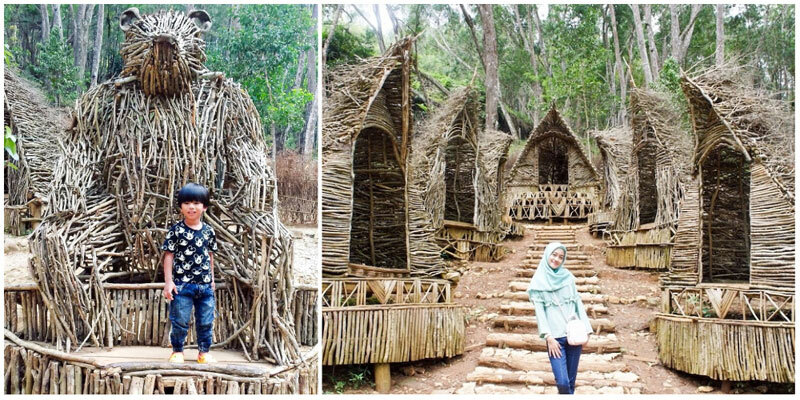 You can find numerous photogenic spots within the forest, settings that were created using only wood and creativity – such as a hobbit house, wooden bear and hut made of branches! Who knows? 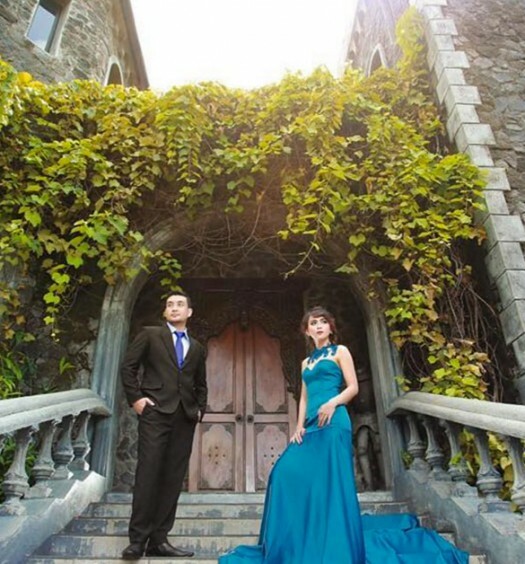 Your next Prince Charming or Sleeping Beauty might just reveal himself or herself the next time you visit! We all know Mount Merapi, one of the most iconic volcanoes in the world that has become the source of both life and destruction in Yogyakarta. It’s hard not to respect and fall in love with such a majestic force of nature. 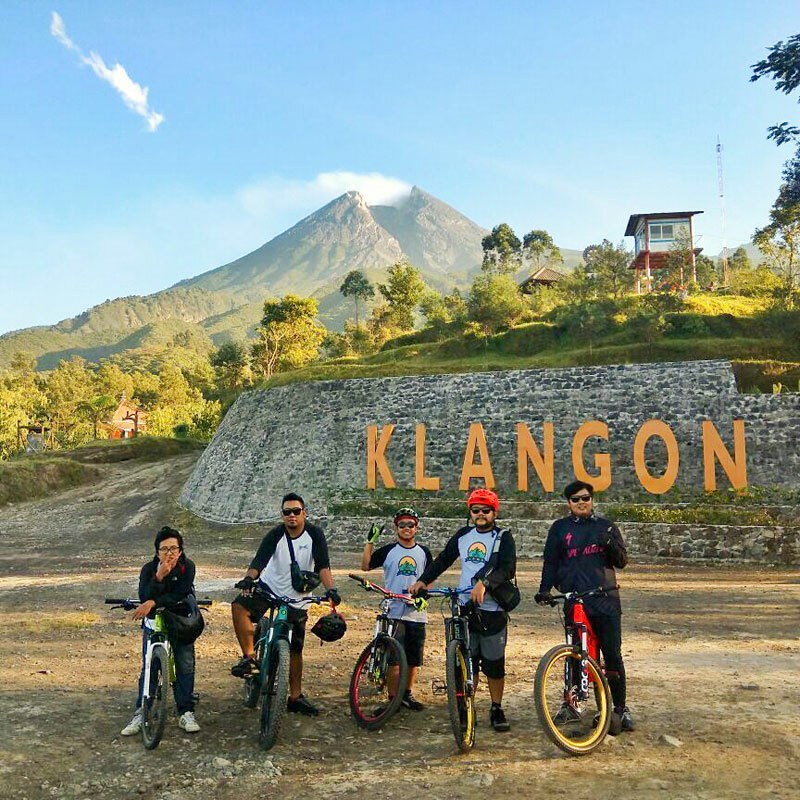 At Bukit Klangon, you can take your admiration for Mount Merapi into the next level, as this hill is situated at its foot. That’s right, you can get up close and personal with this fierce volcano. 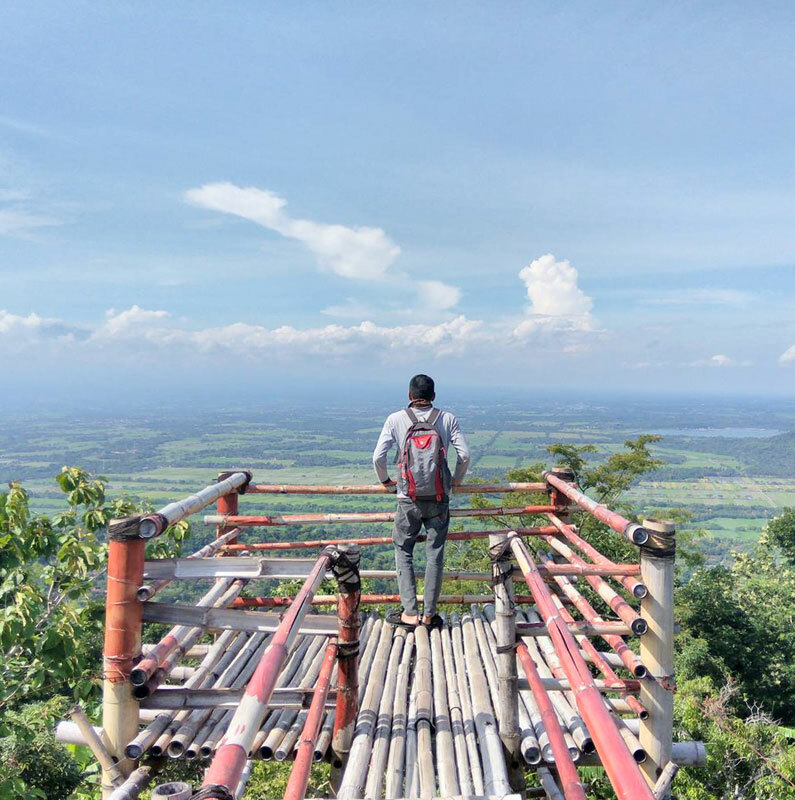 In addition to its close location to Mount Merapi, Bukit Klangon is also known as a chilly hill that doesn’t only offer peace and quiet for fatigued souls, but also a scenic panorama of unspoilt nature. Remember to visit early in the morning when the sky is clear, so no clouds will mar your little therapy session with beautiful Merapi. And if you’re a fan of downhill mountain biking, do put your ability to the test with Bukit Klangon’s own version of a biking track! Imagine yourself walking through endless towering pine trees accompanied with complete serenity, at a place where you can temporarily leave all your troubles behind and feel completely unrestricted. That’s Pinus Pengger for you – a pine forest where travellers can find tranquility and inspiration. 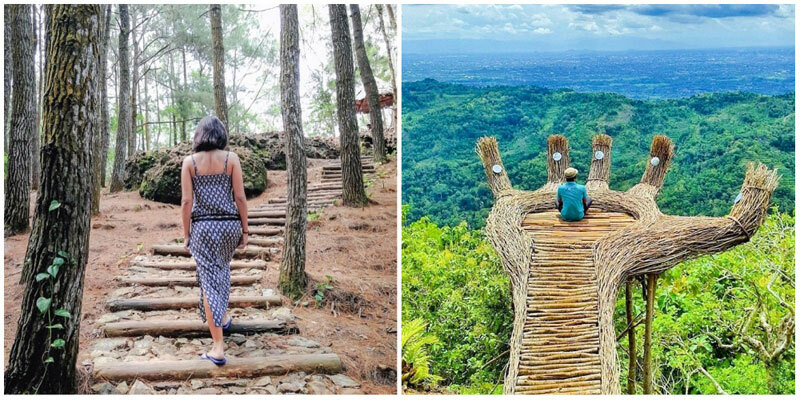 This forest houses a myriad of fascinating photo spots, such as a treehouse, giant bird nest, love stairs and the iconic hand-shaped viewing post – beautiful spots where travellers can sit back and relieve their stress. The best time to visit would be at night, when city lights sparkle the brightest. Looking down, you’ll be completely captivated by Yogyakarta’s shimmering nightscape, the most beautiful end to any day. Yogyakarta is now the proud home to Southeast Asia’s longest flying fox – which you can find in Gedangsari Green Village! 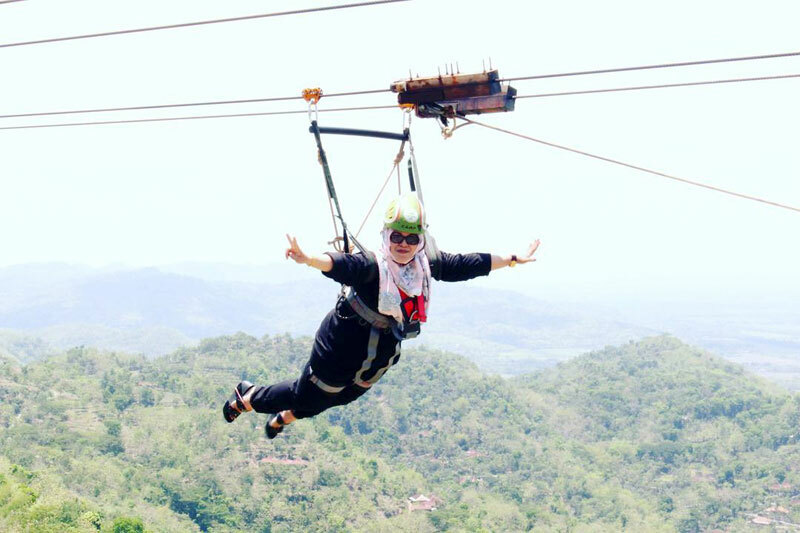 Here, you can feel the sensation of flying through a 625-metre-long zip-line with your adrenaline pumping like never before. Not only will you feel like you’re actually flying, the breathtaking scenery and chilly weather will make this experience even more exciting! After the crazy ride, you can relax by slowly exploring Gedangsari while gazing out at the peaceful landscape surrounding the village.